My items are 100% authentic products!!! STAX's first DAC equipped earspeaker dedicated portable driver unit By installing high-performance DAC, it was compatible with various audio sources such as portable audio player and PC. The output corresponds to the standard 5 pin ear speaker. We provide excellent playing environment not only in indoor but also in outdoor. 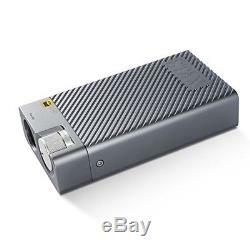 Built-in rechargeable lithium ion battery. Adopted aluminum case with shielding effect, sticking to the texture. It corresponds to playback of PC 384 kHz and DSD 5.6 MHz by XMOS USB interface. High performance with high voltage resistant high performance amplifier. Carefully selected high quality audio exclusive parts. 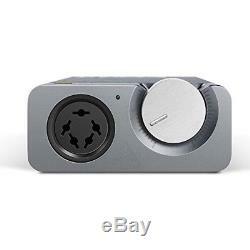 5 Pin PRO bias outlet is adopted, Stax Ear speaker (5 pin) can be used. 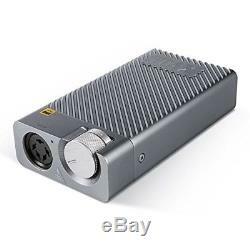 Wide range switching power supply adapter included. / Specifications Frequency response: 20 to 40000 Hz / + 0 - 3 dB Rated input level: 230 mV / 100 V Output level Maximum input level: 10 V / analog input Volume at minimum Minimum output voltage: 200 Vrms Amplification: 53 dB (450 times) Wave distortion: -0.025% / 1 kHz 10 kHz Input impedance: 10 k / analog input bias voltage: DC 580 V Power supply voltage: DC 14 V Battery operating time: About 4.5 hours of analog playback, about 3.5 hours of digital playback Power consumption: 6.4 W / USB input, 5 W / Analog input operation Ambient temperature / humidity: 0 - 35/90% or less (without condensation) Dimension: 140.8 W × 32 H × 75 D mm Weight: 450 g (main body) Input terminal: Micro USB × 1, 3.5 mm stereo Mini jack × 1 Accessories: AC adapter (100 to 240 V), USB cable 1 m (Micro B-Type A), USB cable 0.5 m (L type Micro B-Type A), 3.5 mm stereo cable 0.8 m (L- L type) /. This product is comes with 1. I accept return within 14 days from its receipt. Return is accepted if only the item is different from item's description. International Buyers - Please Note. Our policy is to make our customer satisfy due to our best support and service. I have been enjoy business with a lot of people all over the world. 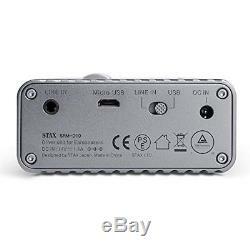 The item "NEW STAX SRM-D10 STAX Portable driver unit with DAC Tracking From Japan" is in sale since Sunday, June 17, 2018. 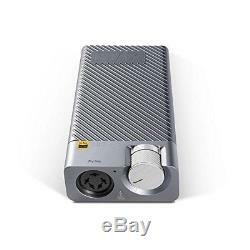 This item is in the category "Consumer Electronics\Portable Audio & Headphones\Headphone Parts & Accessories". The seller is "mmg0g0" and is located in Japan. This item can be shipped worldwide.